Detail of a printed piece is here. 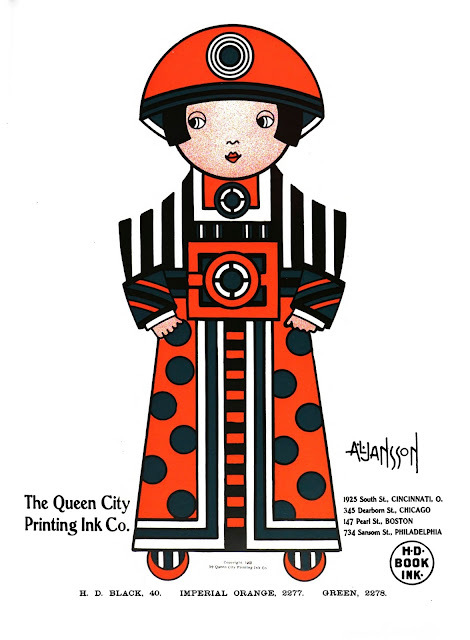 More postcards are here. 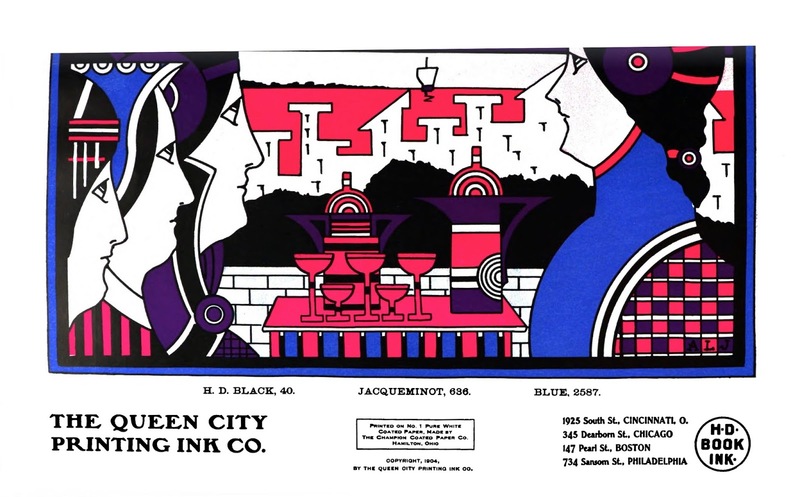 Augustus Ludwig Jansson was born in Boston, Massachusetts on April 17, 1866, according to the Boston birth records at Ancestry.com. 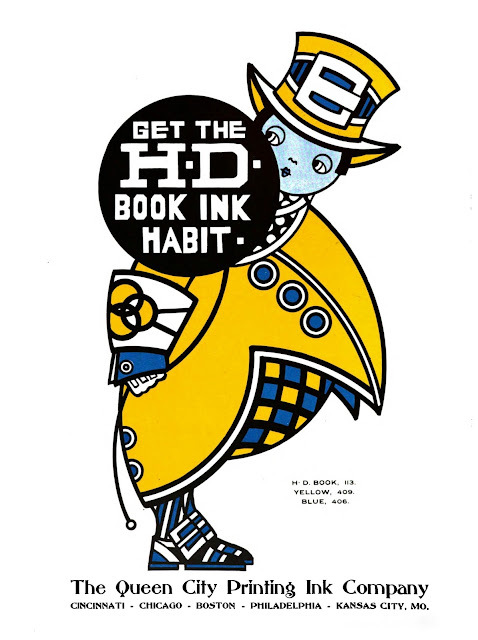 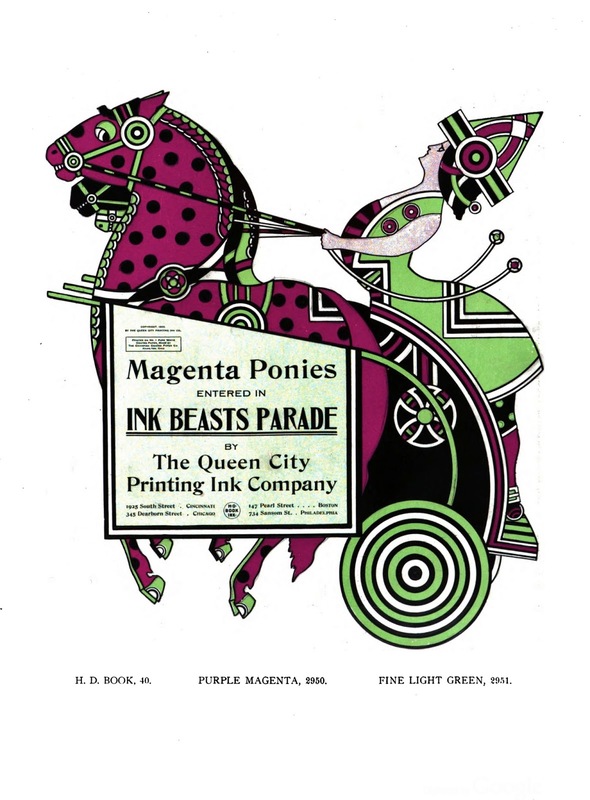 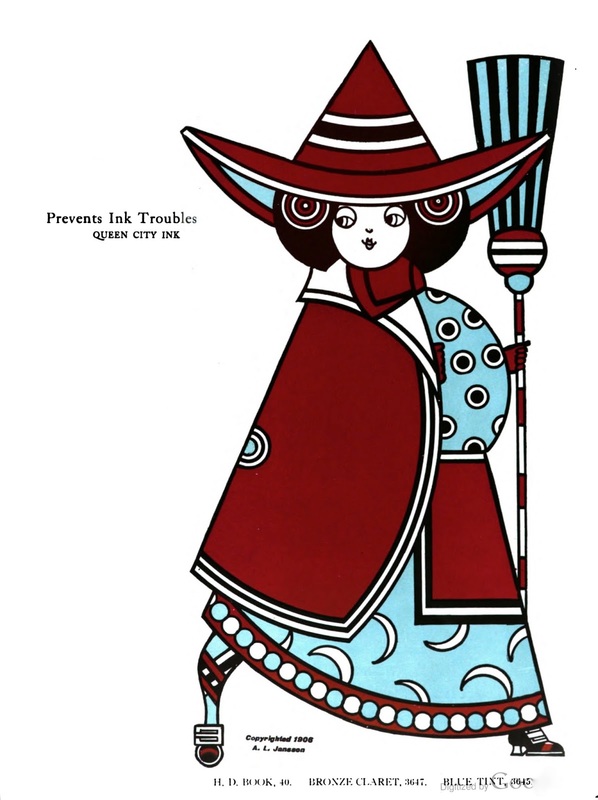 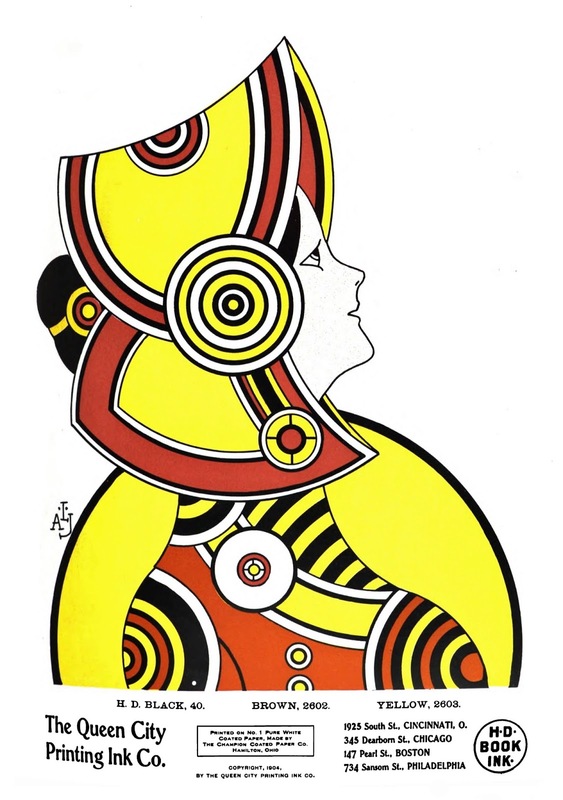 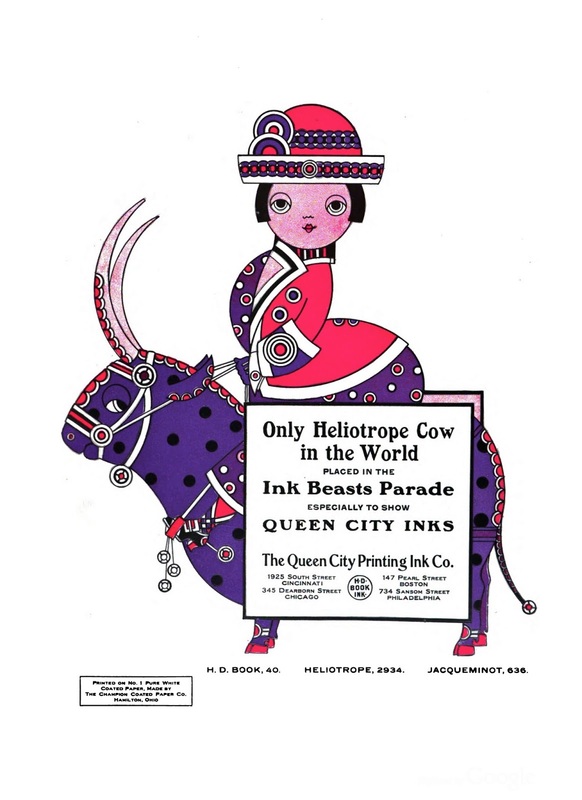 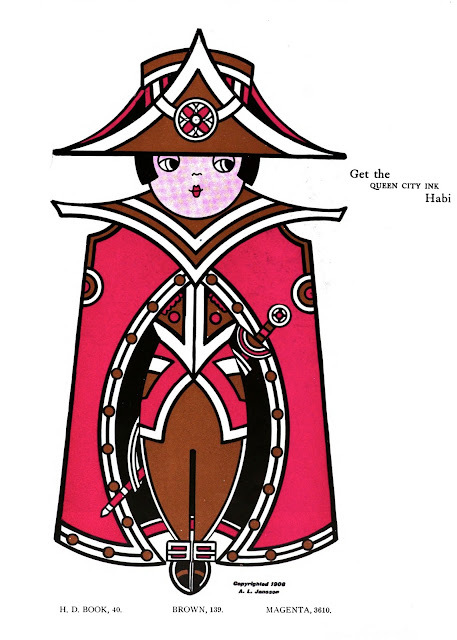 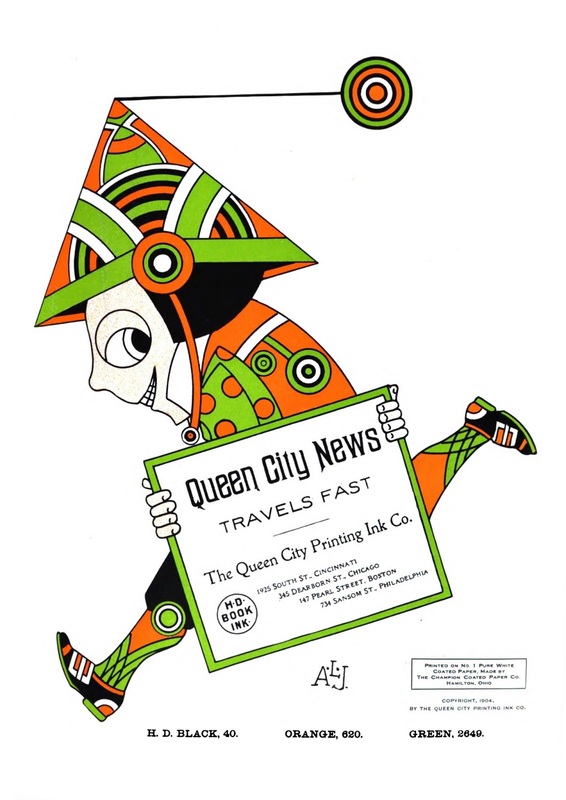 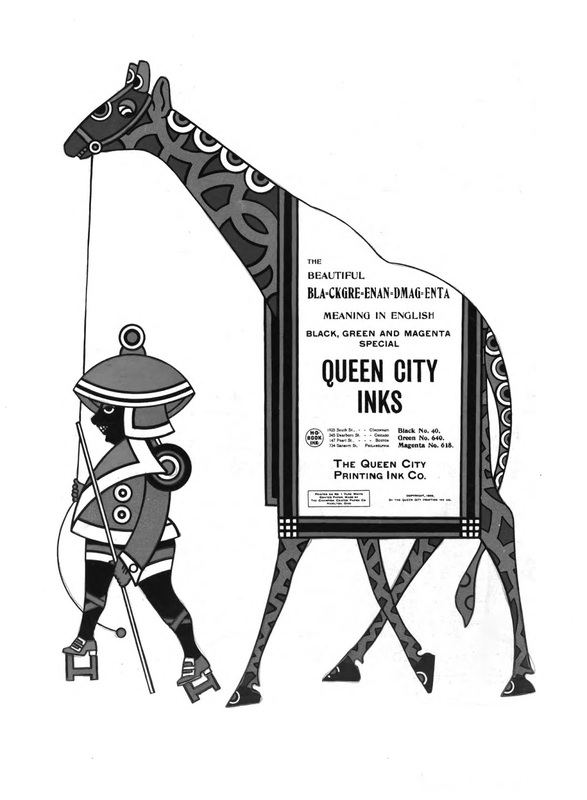 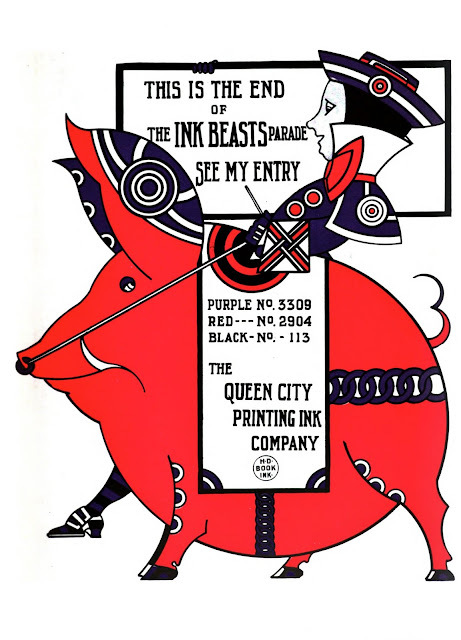 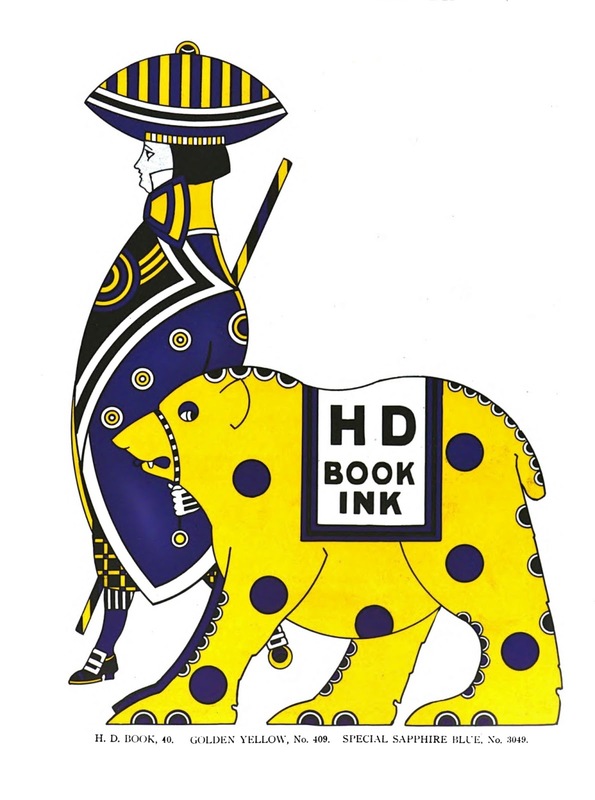 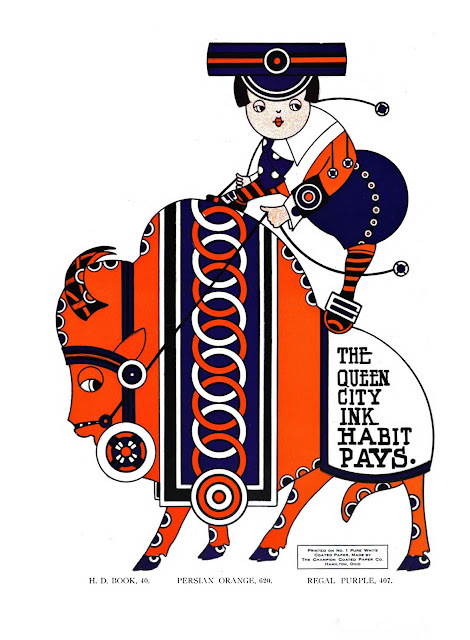 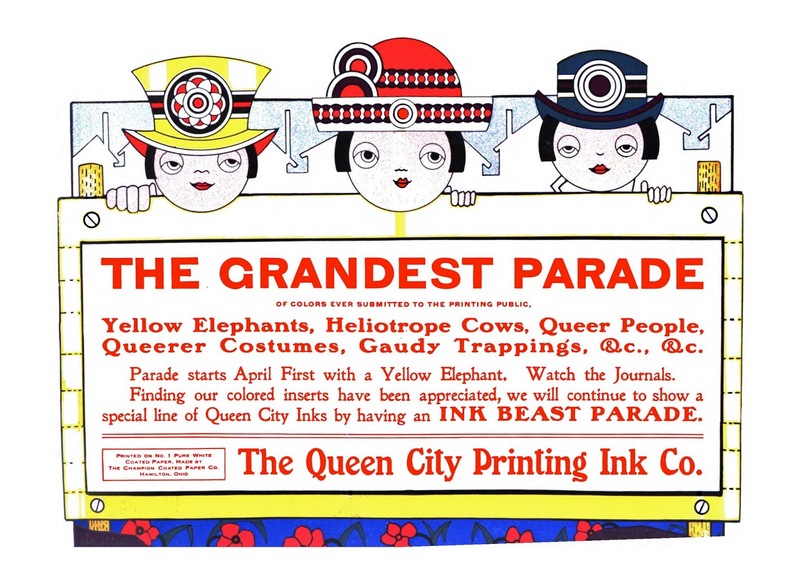 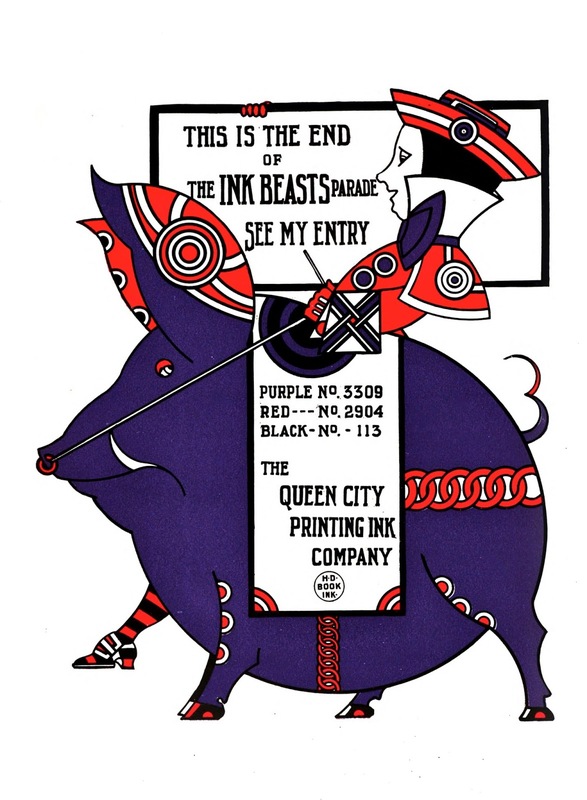 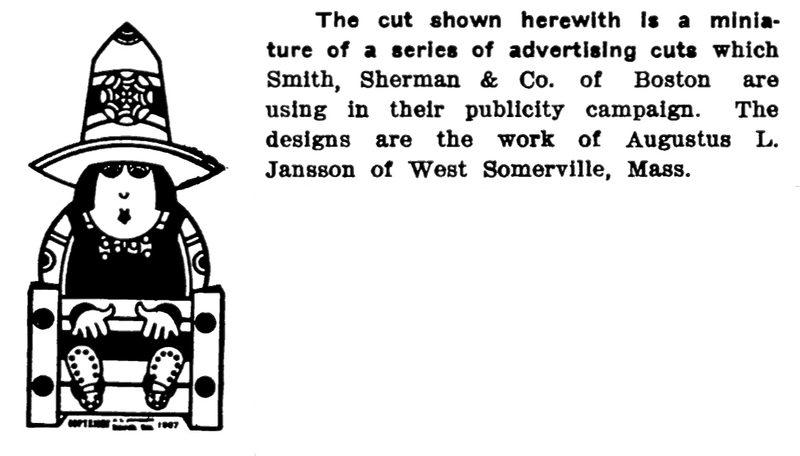 Jansson produced artwork for the color comic section of the Boston Herald Sunday newspaper. 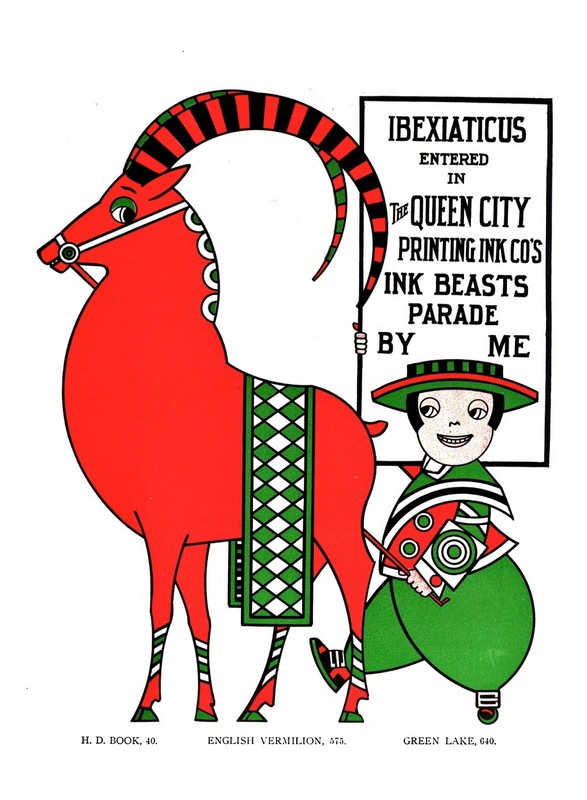 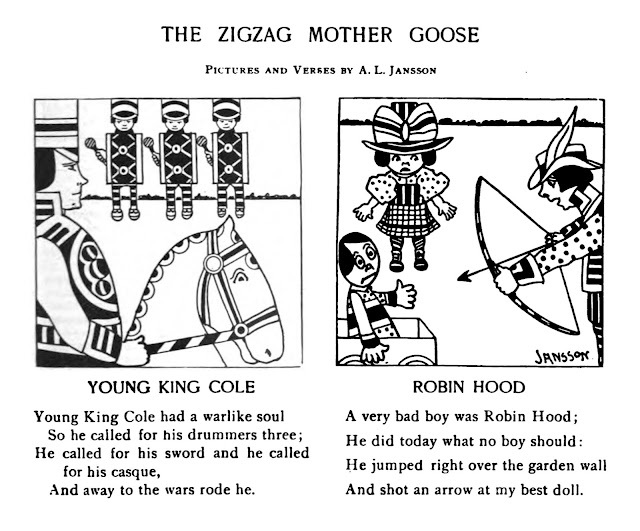 “In Plaiddie Land” and “Moon Rhymes” appeared in 1901. 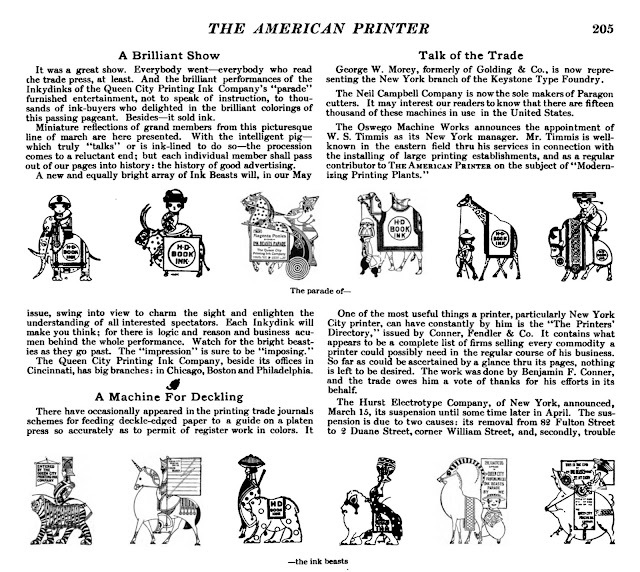 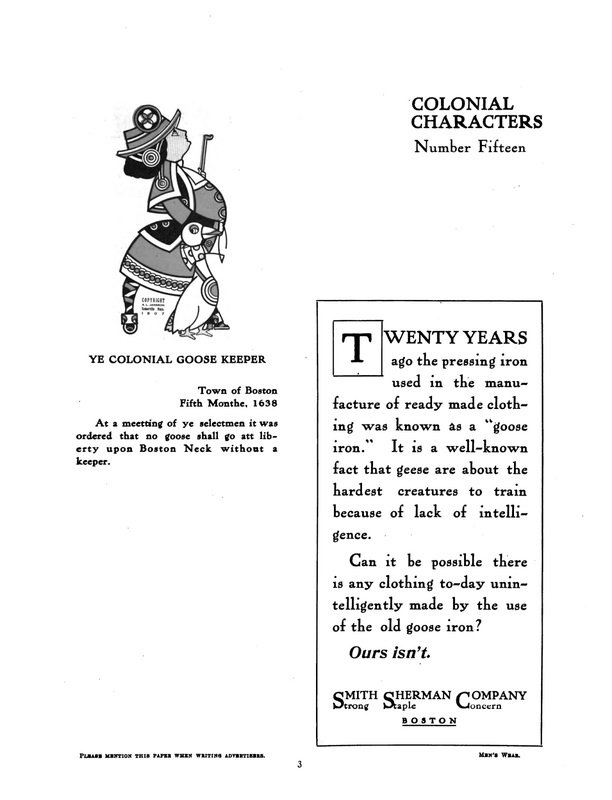 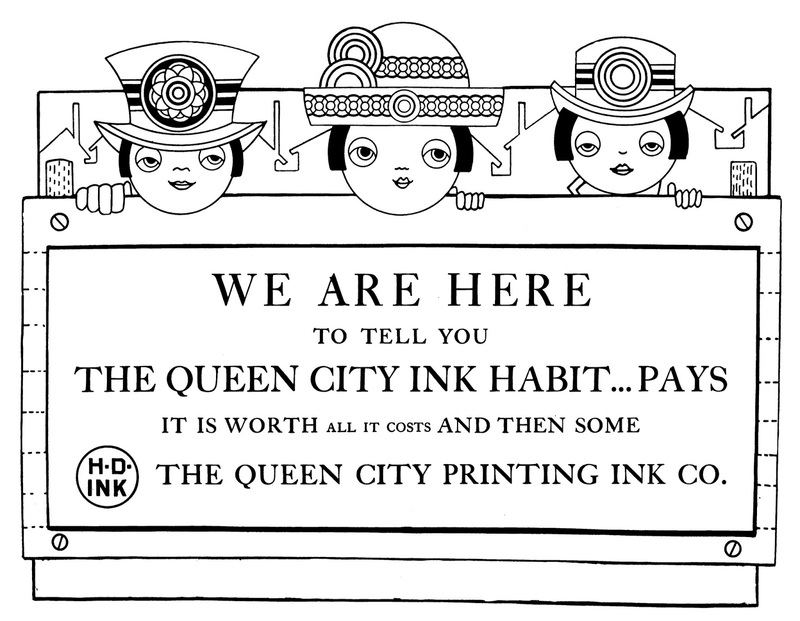 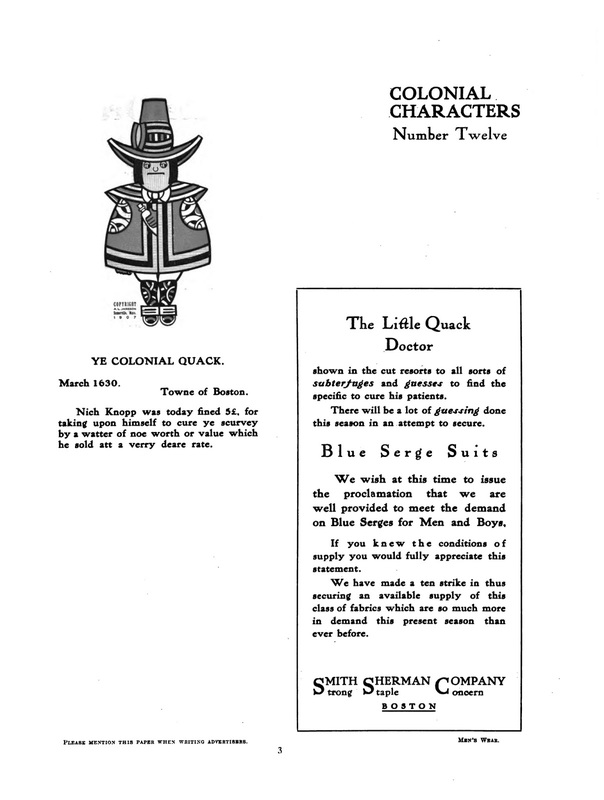 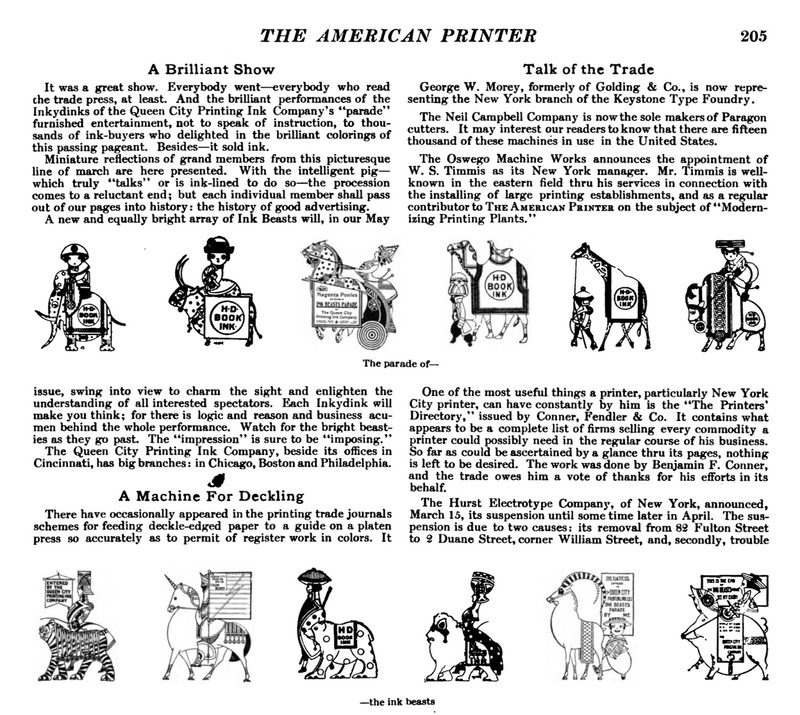 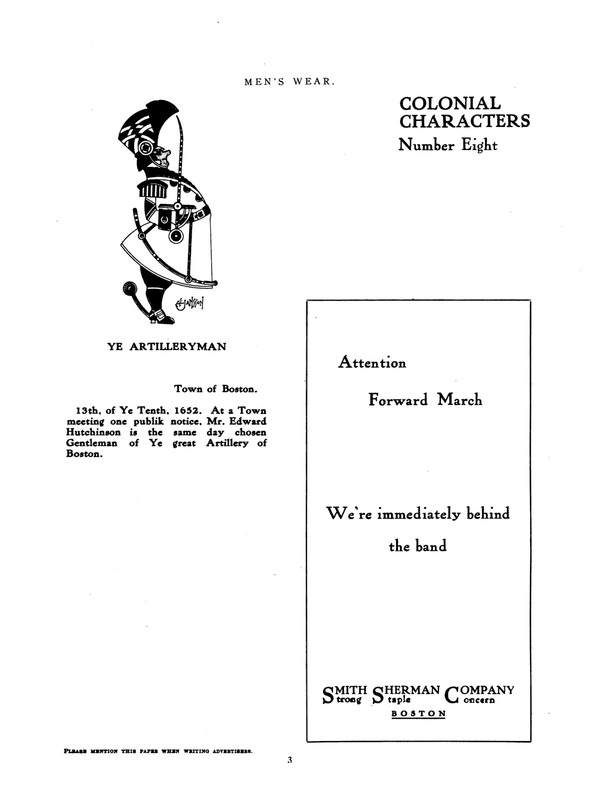 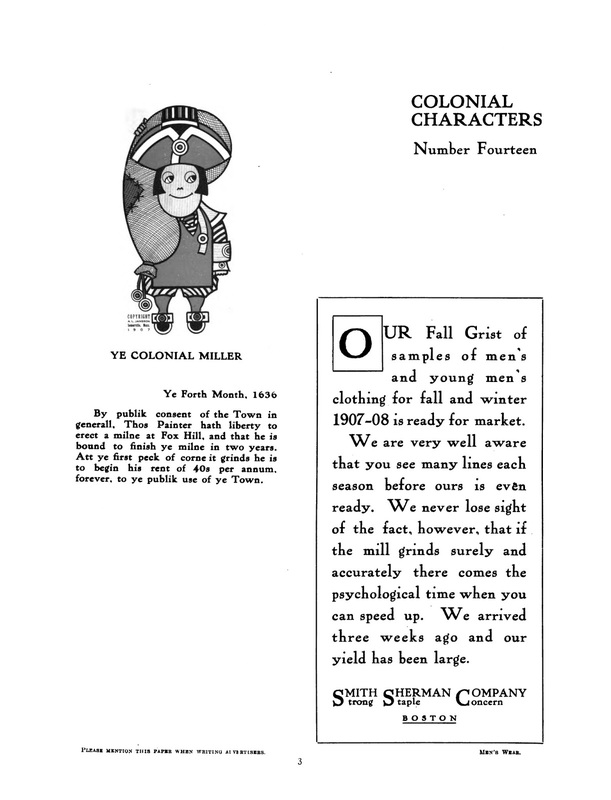 Three years later in 1904, the following comics were published: “New England Mother Goose”, “Odd Folks”, “The Old Veteran’s Story”, “The Boston Tea Party” (You can view it at the Sunday Press website, move the cursor over “Sample Pages”, click “Society Is Nix”, then click arrow in the right margin. 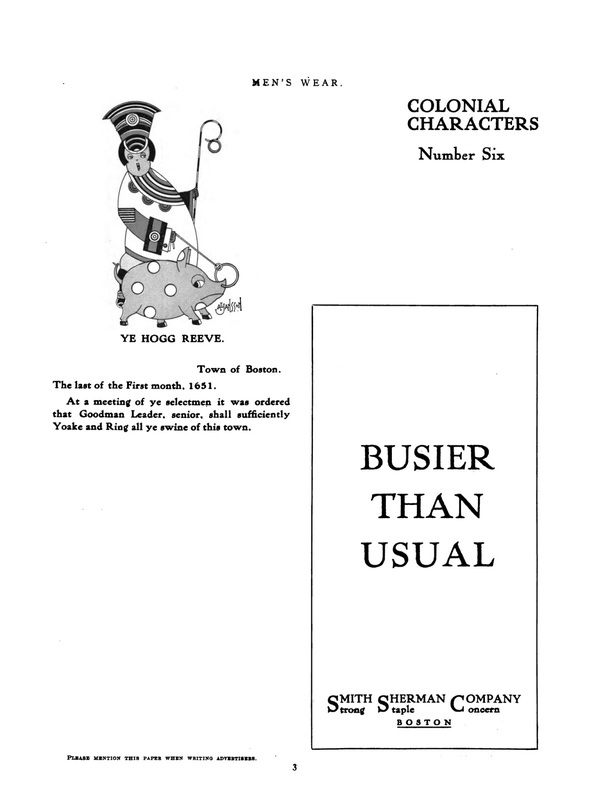 ), and “The Battle of Bunker Hill”. The National Magazine printed two rhymes of Jansson’s “The Zigzag Mother Goose” in the July 1903 issue (below). 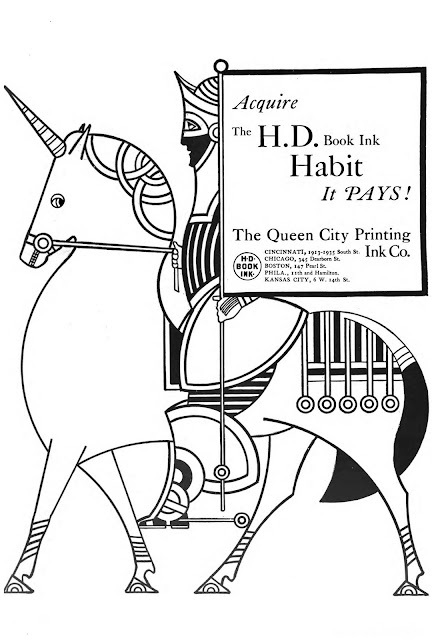 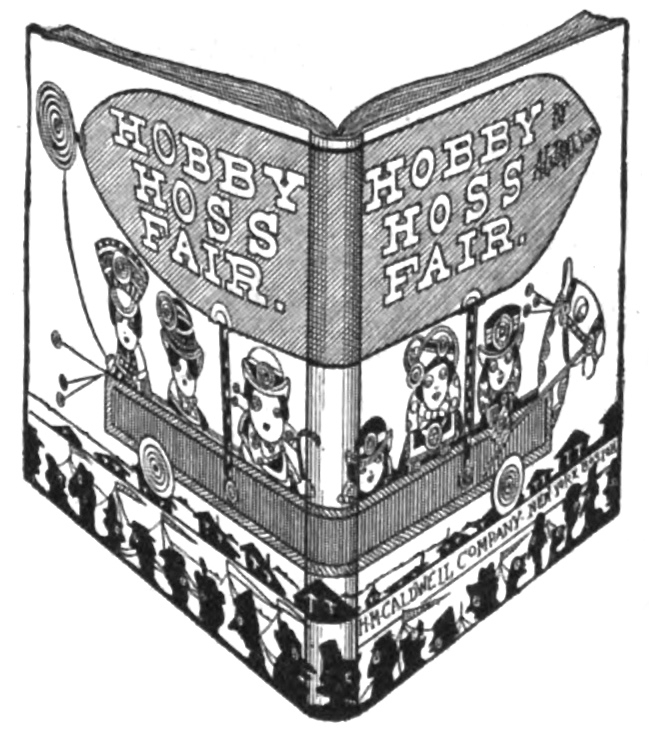 Jansson’s book, Hobby Hoss Fair was published in 1904, and reviewed in the Cambridge Chronicle, December 10, 1904. 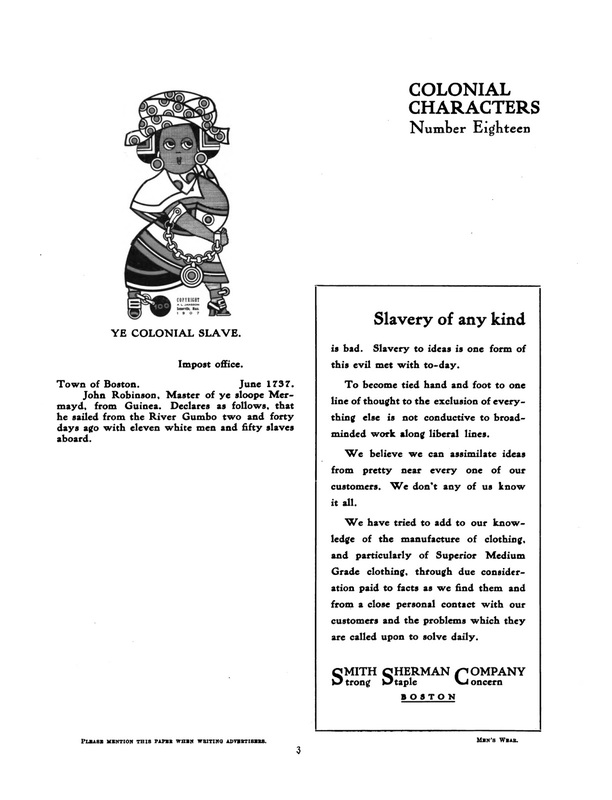 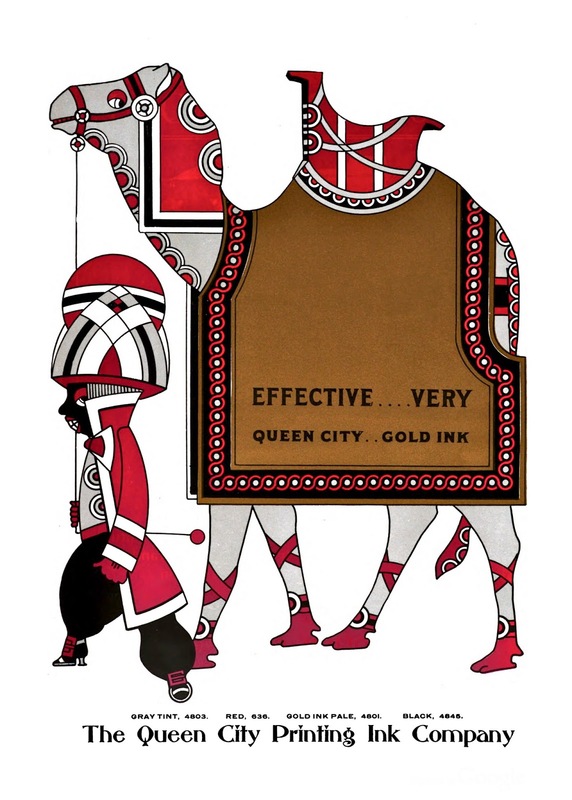 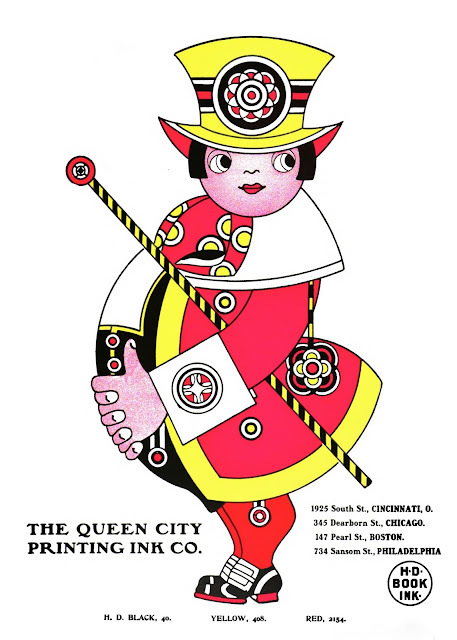 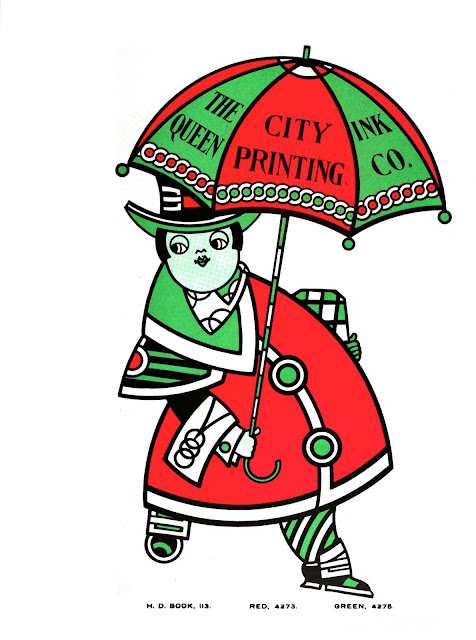 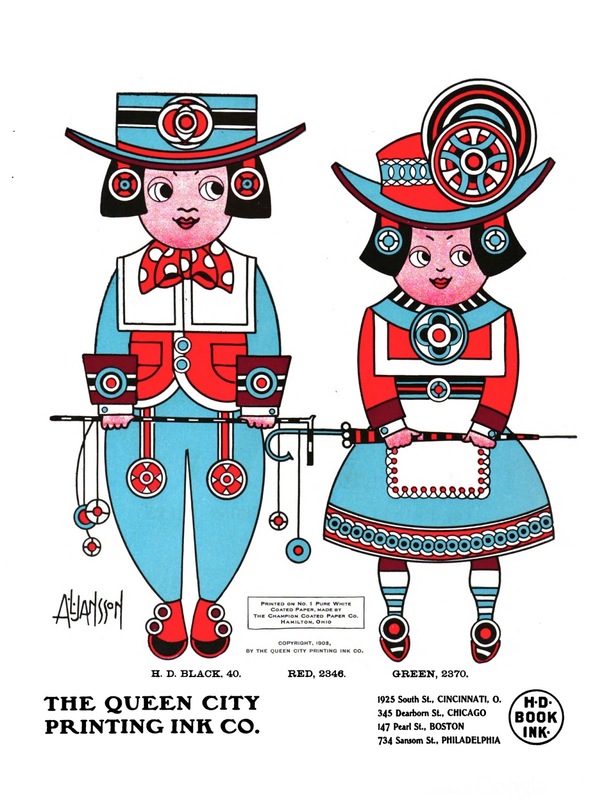 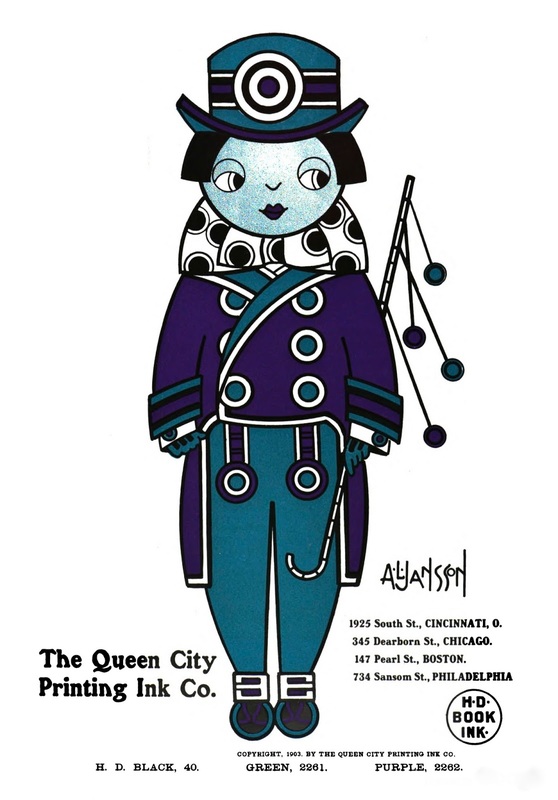 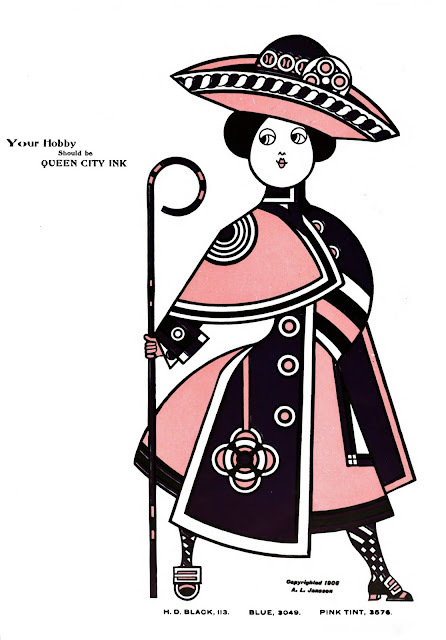 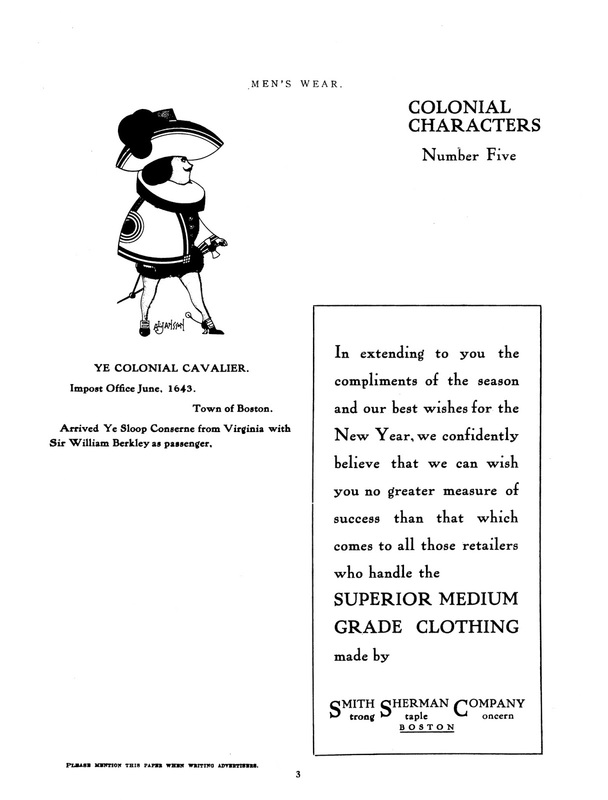 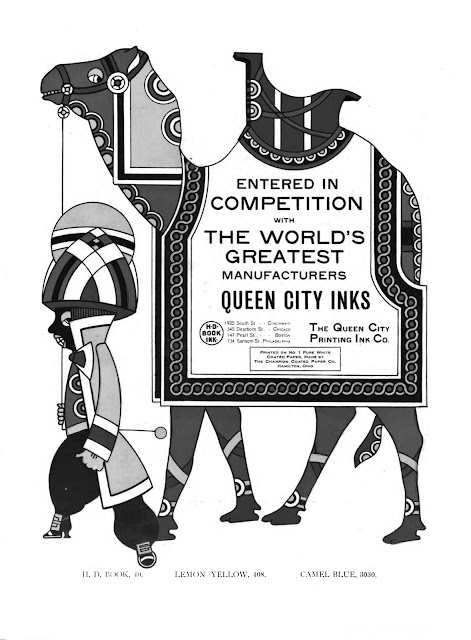 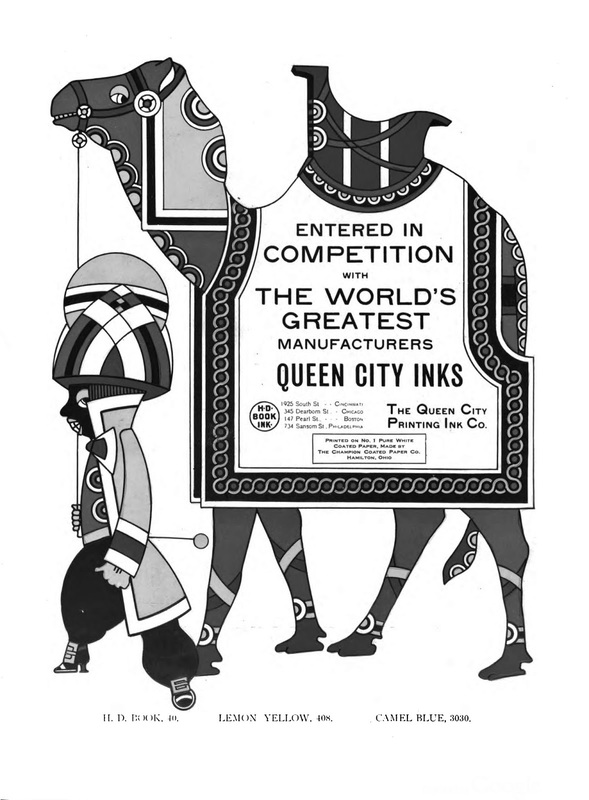 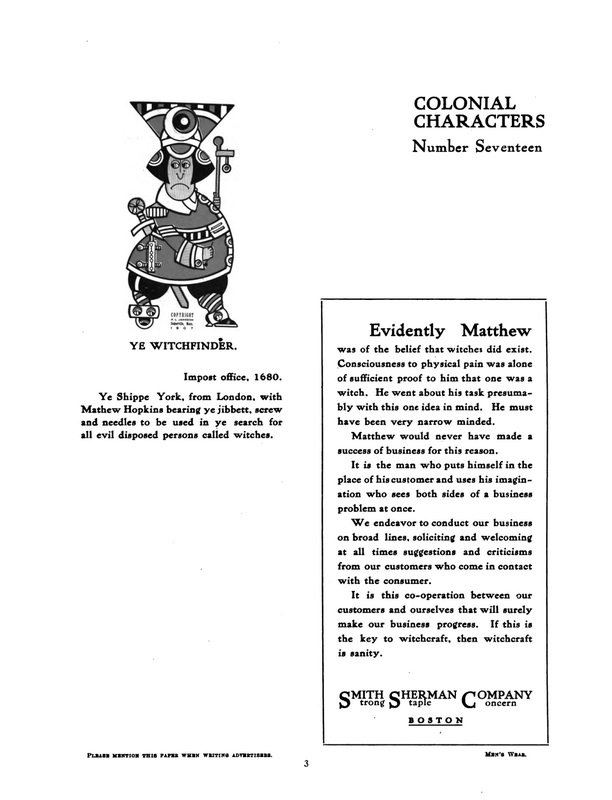 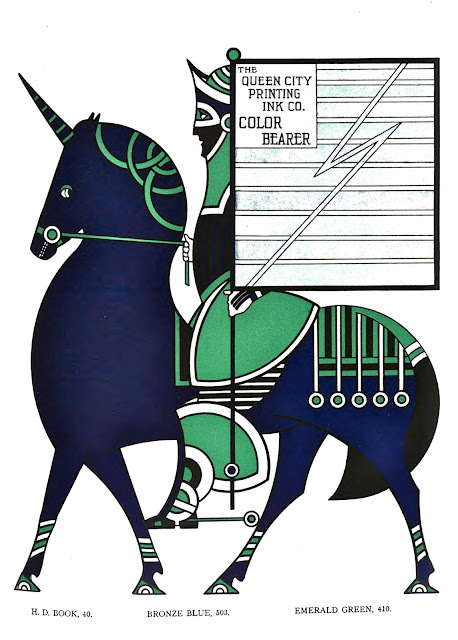 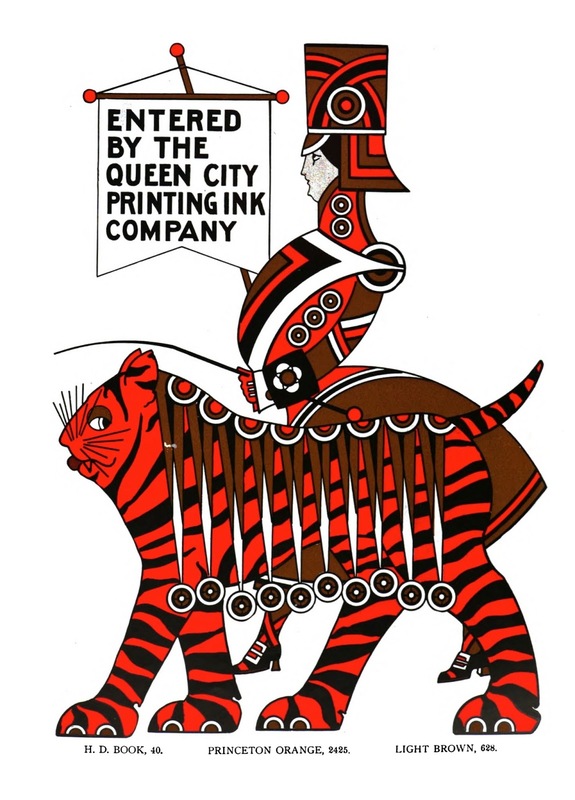 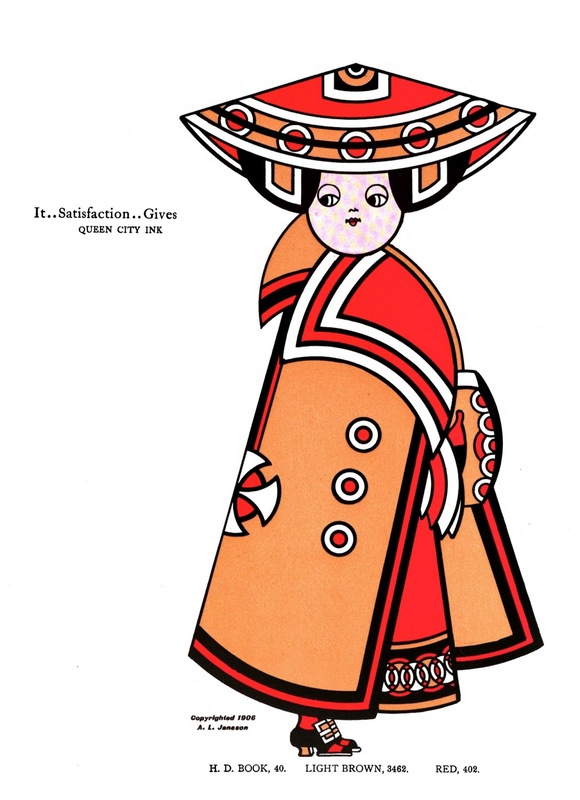 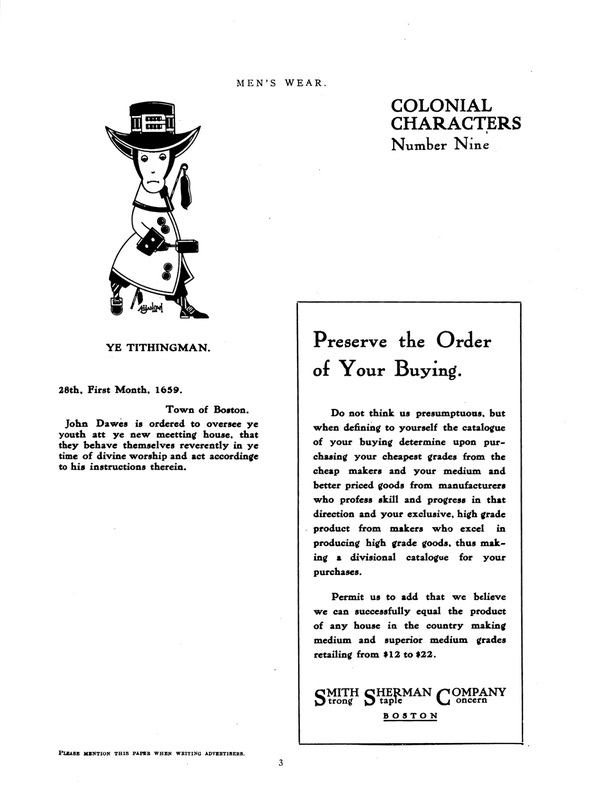 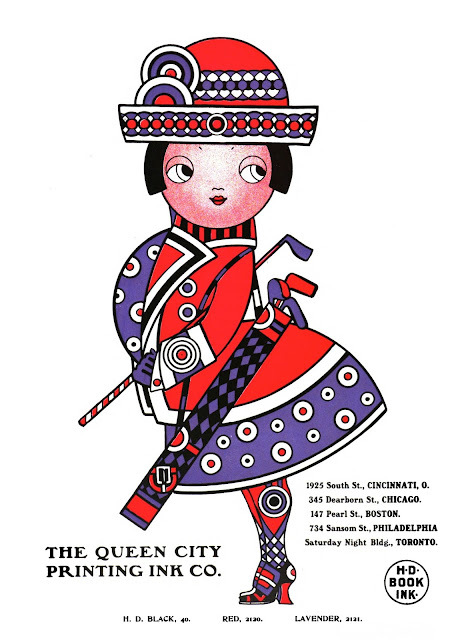 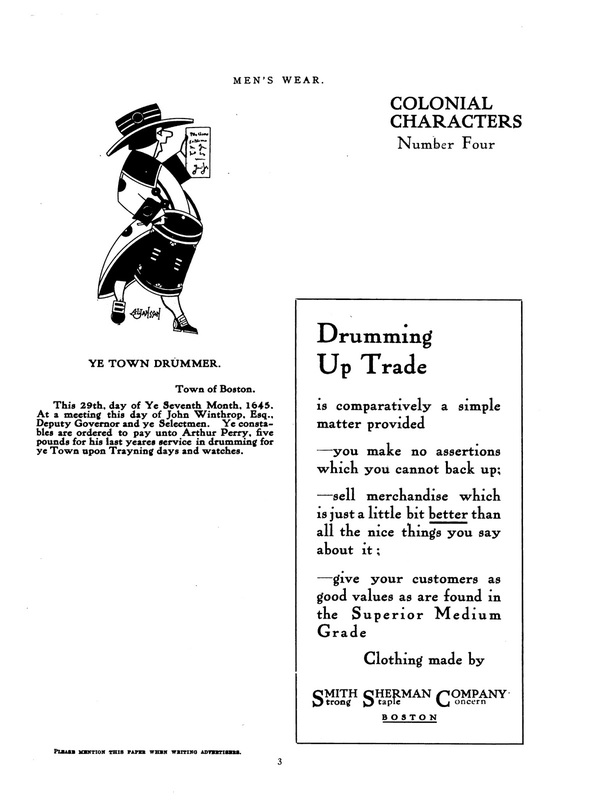 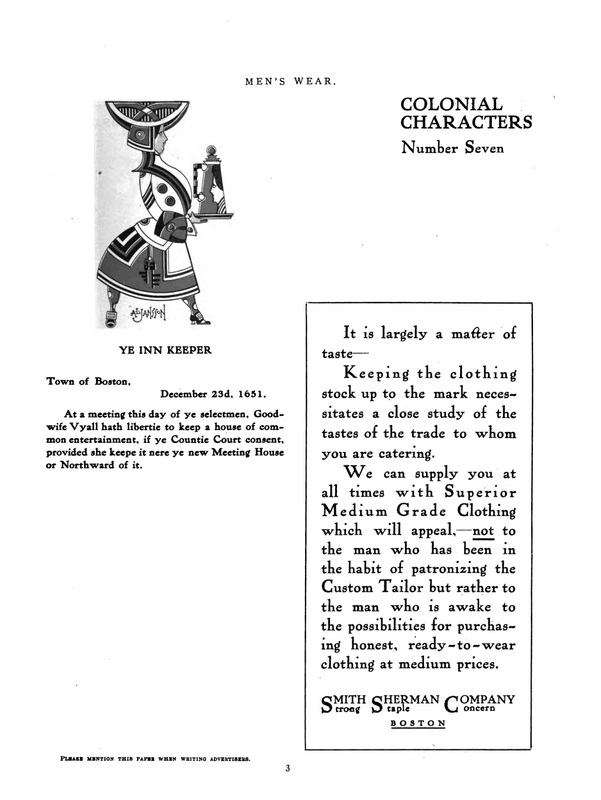 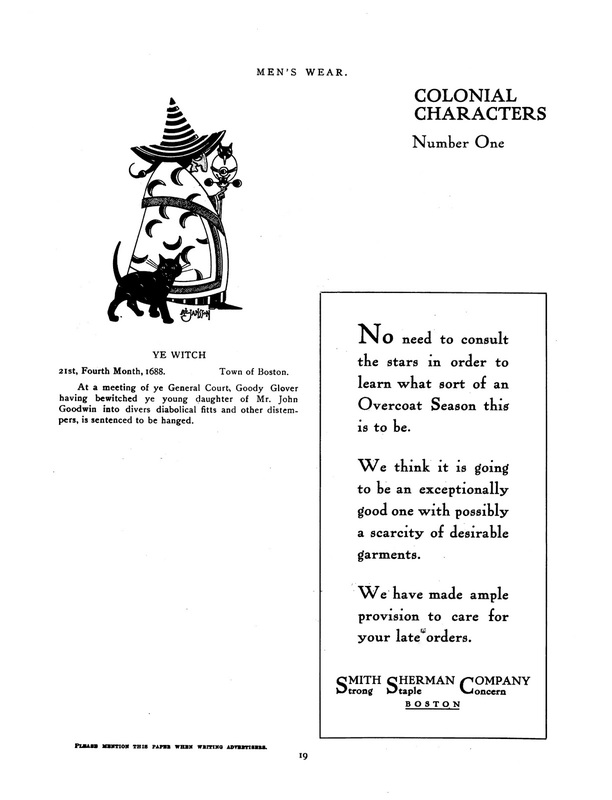 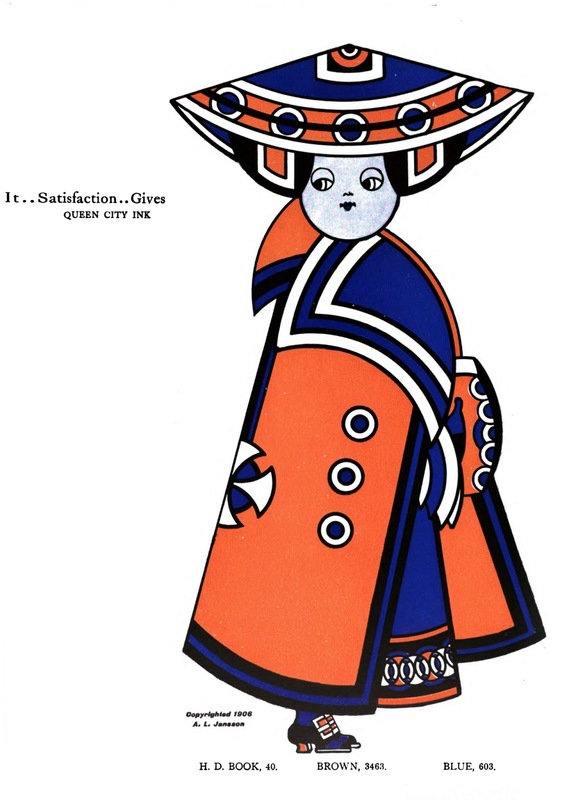 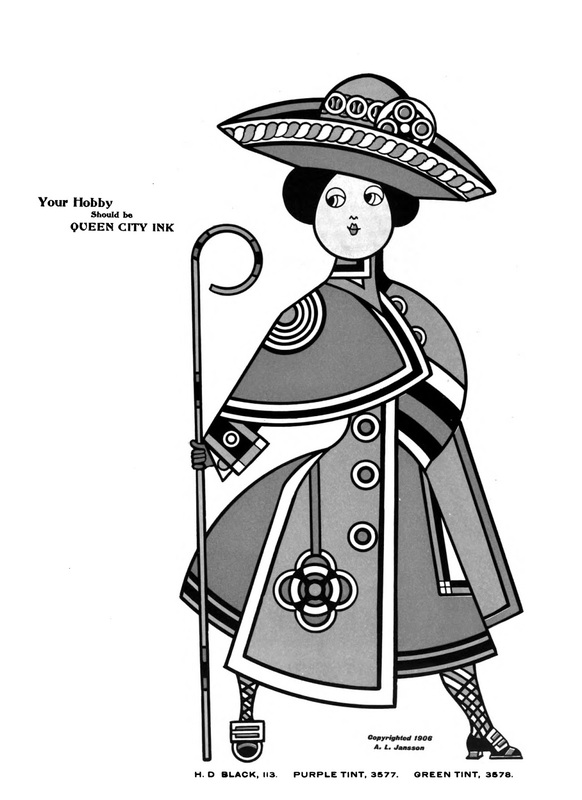 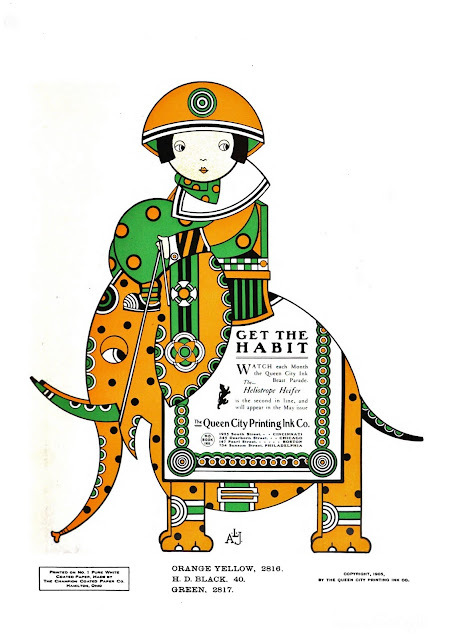 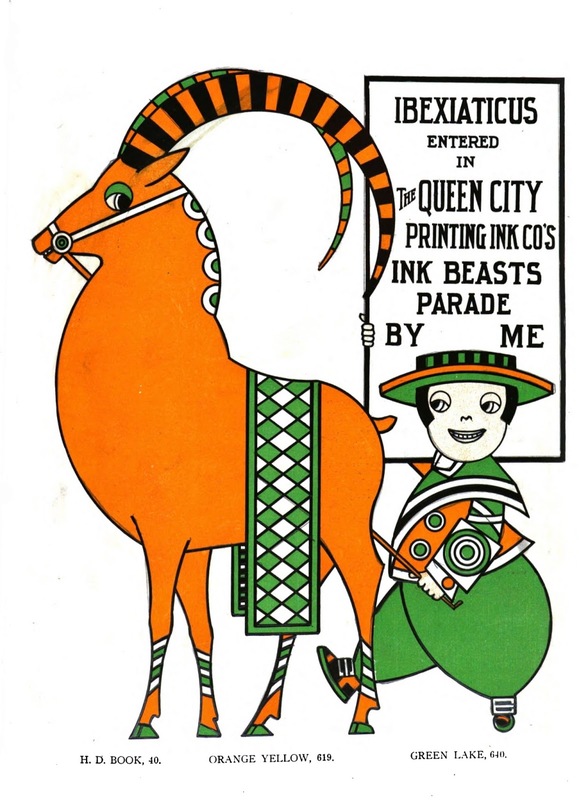 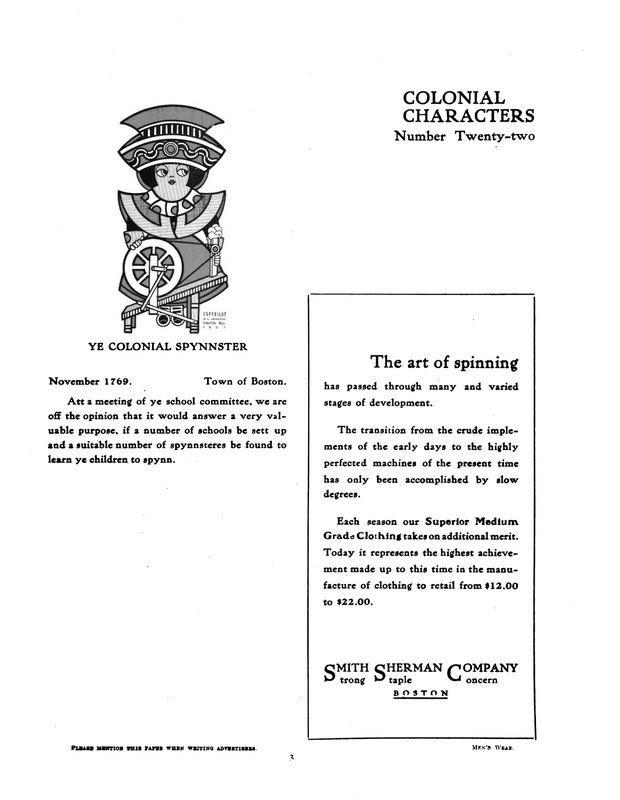 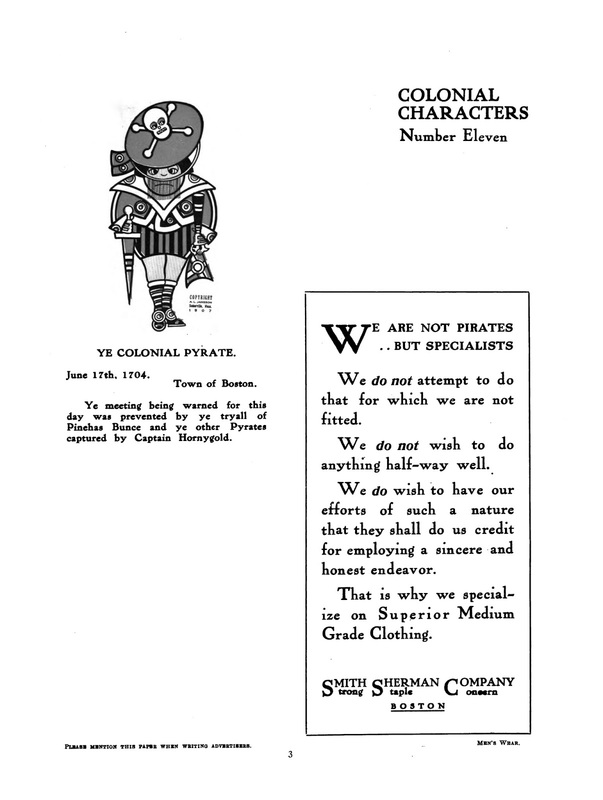 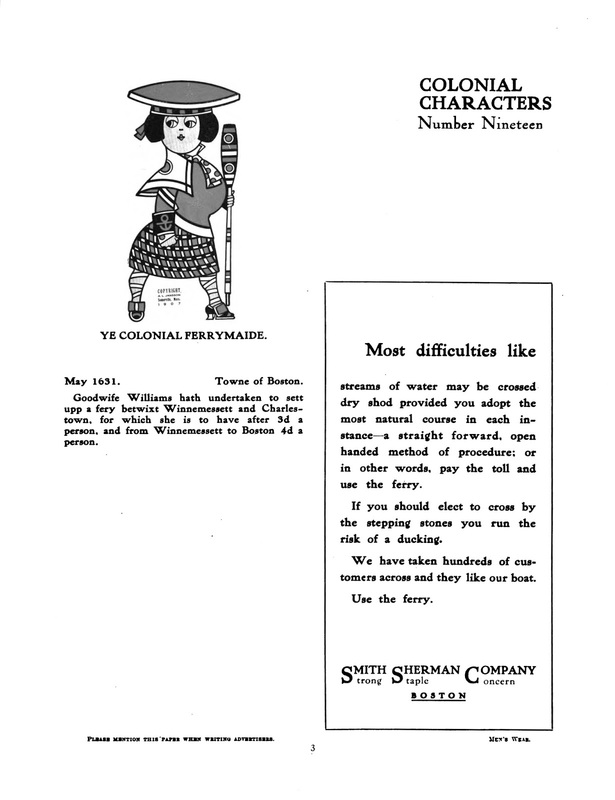 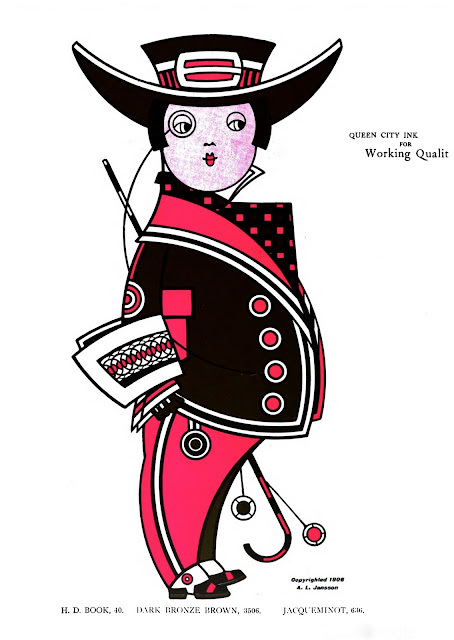 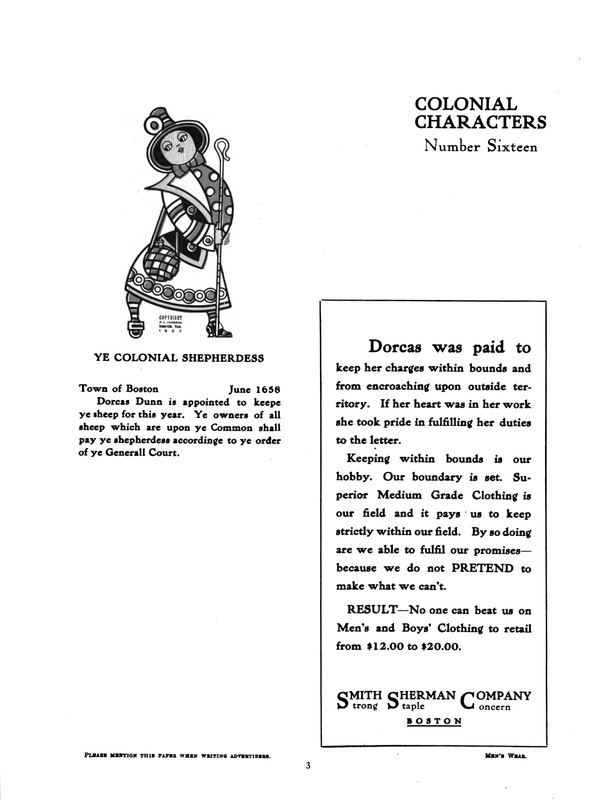 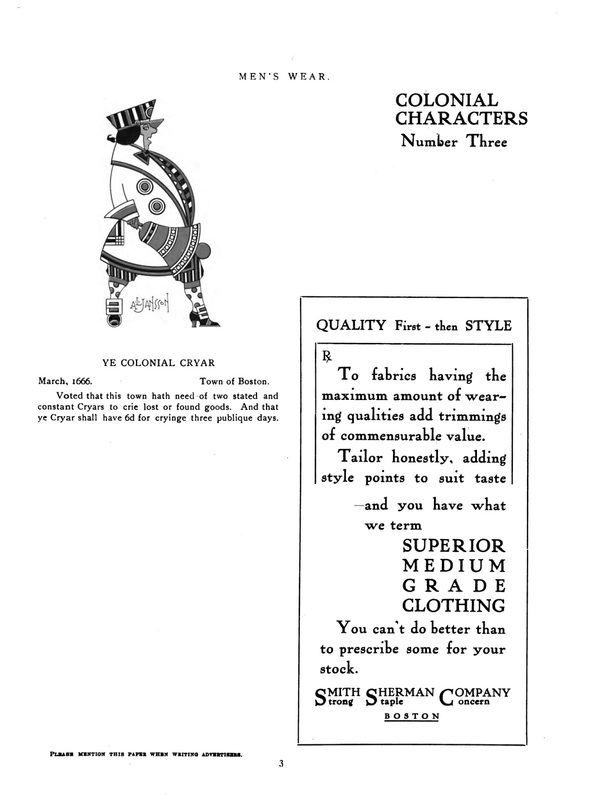 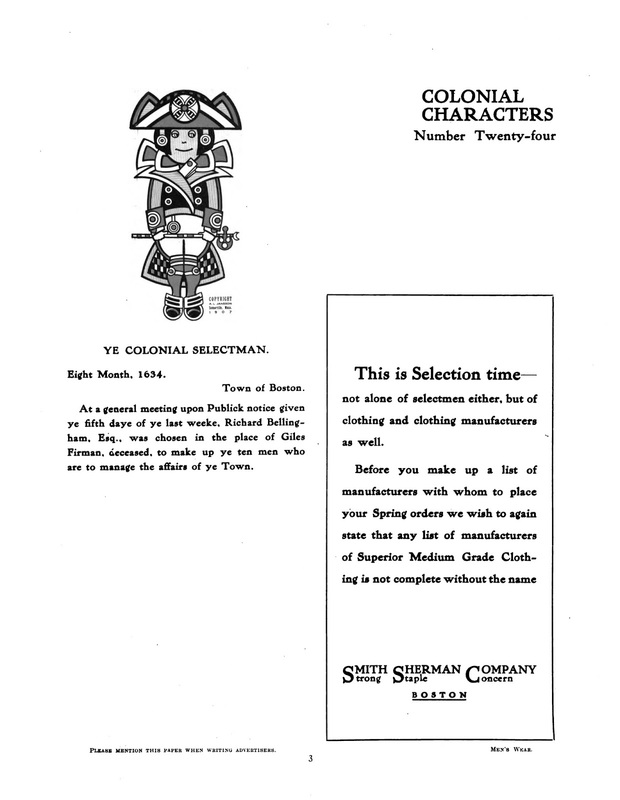 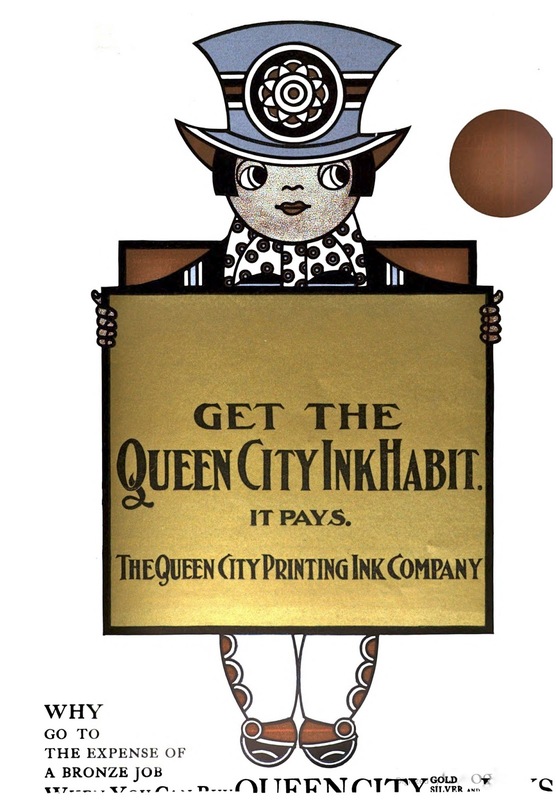 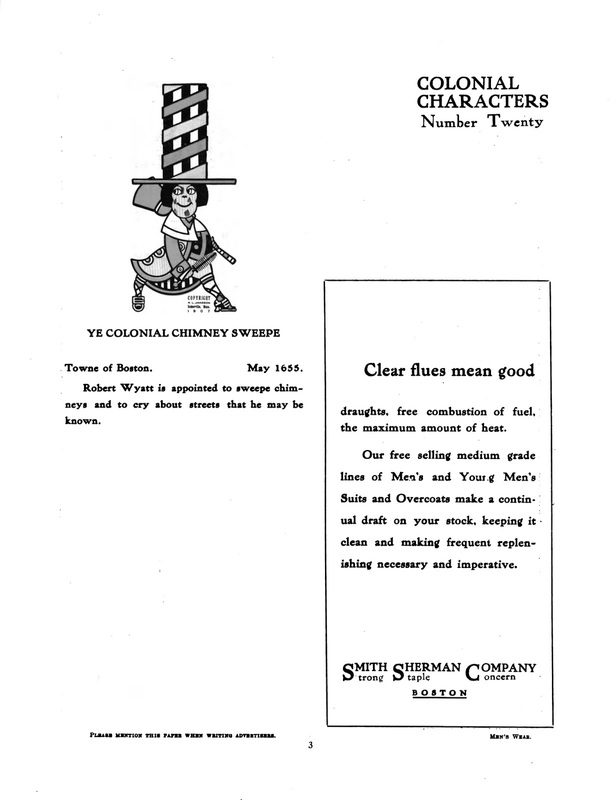 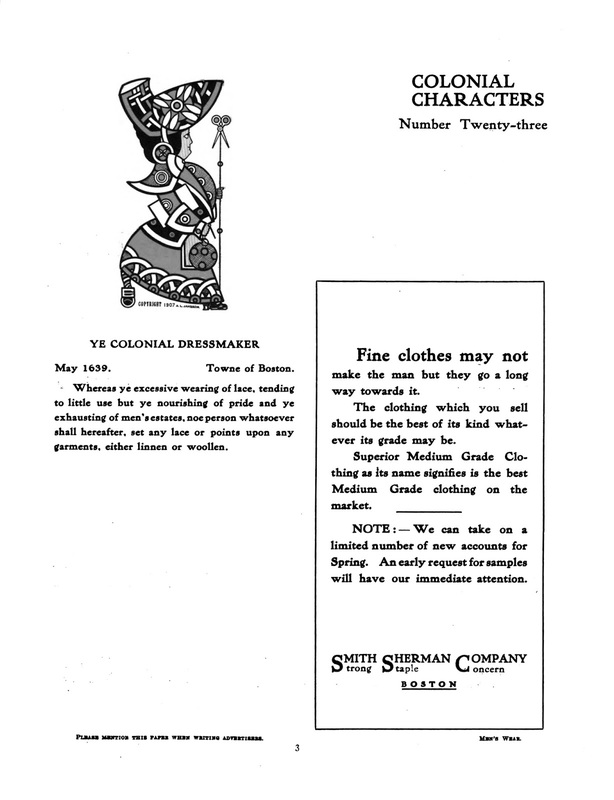 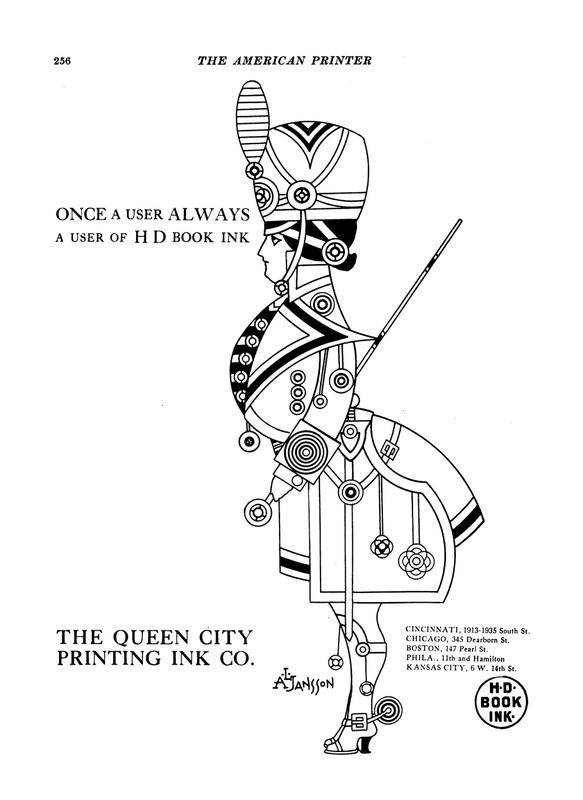 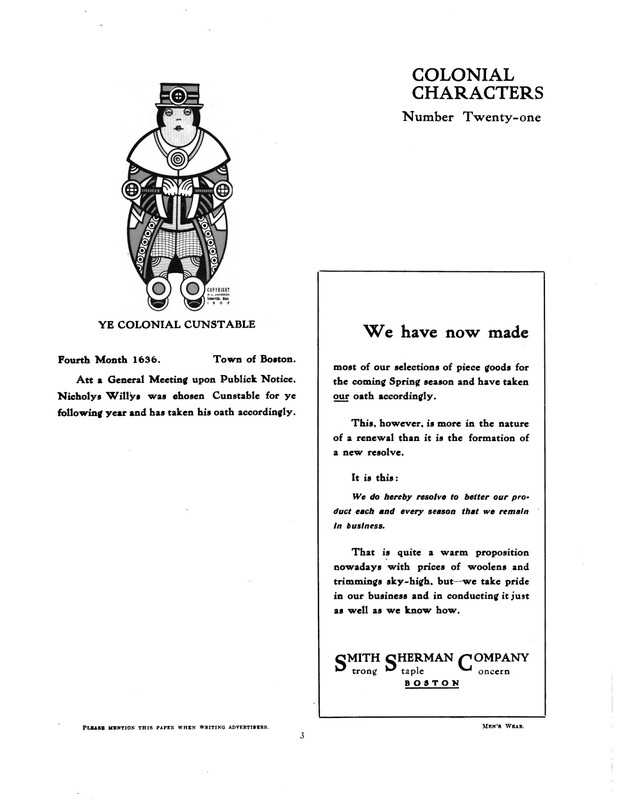 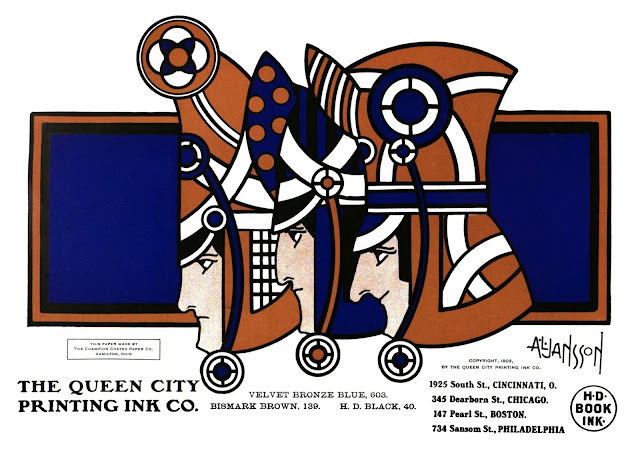 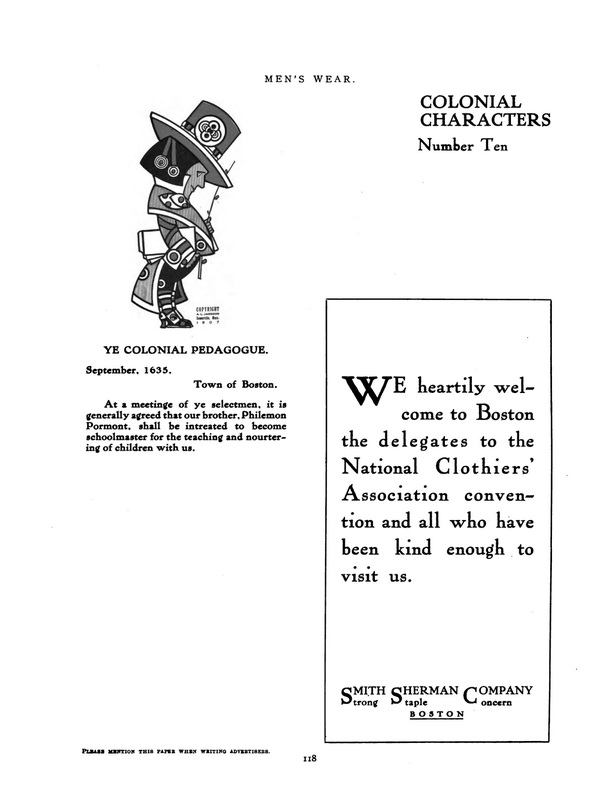 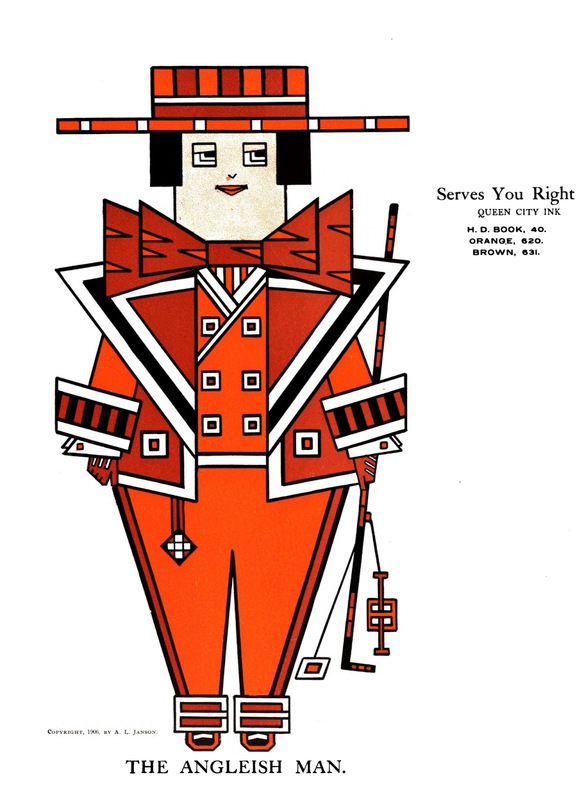 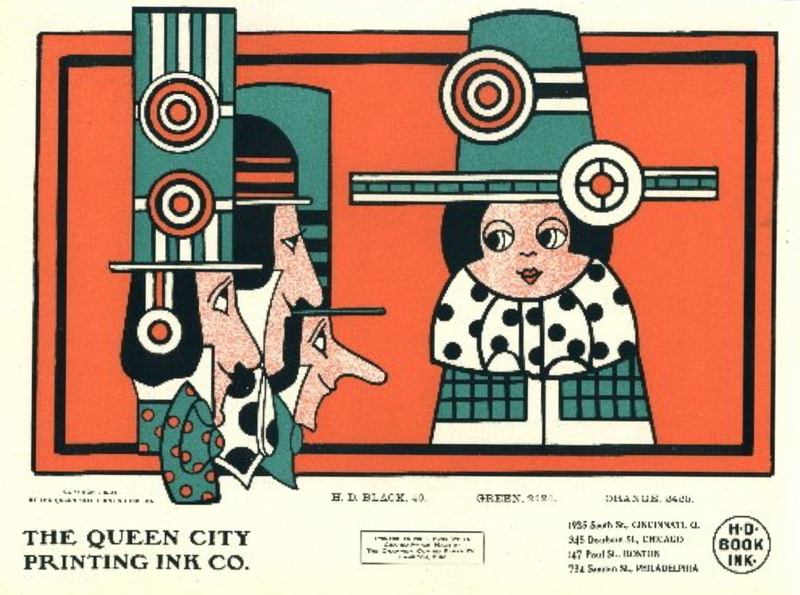 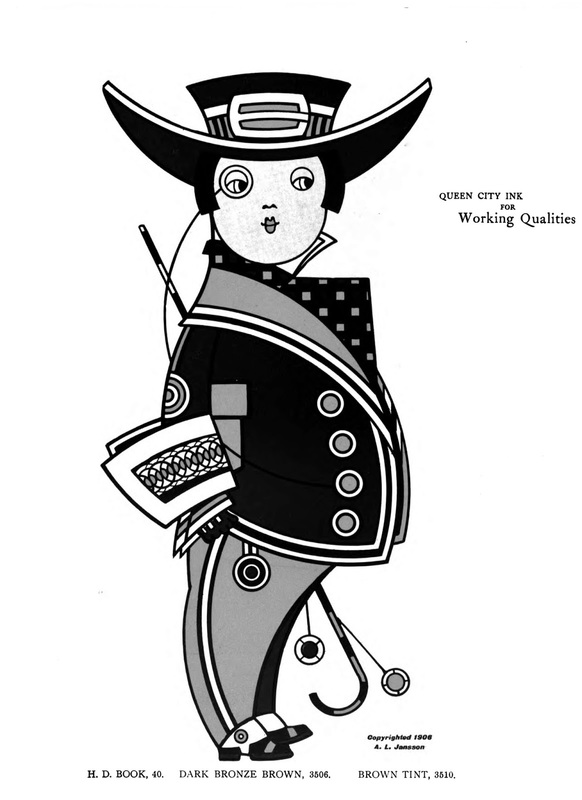 In 1906 Jansson created the “Colonial Characters” for the wholesale clothier, Smith, Sherman & Co., of Boston. 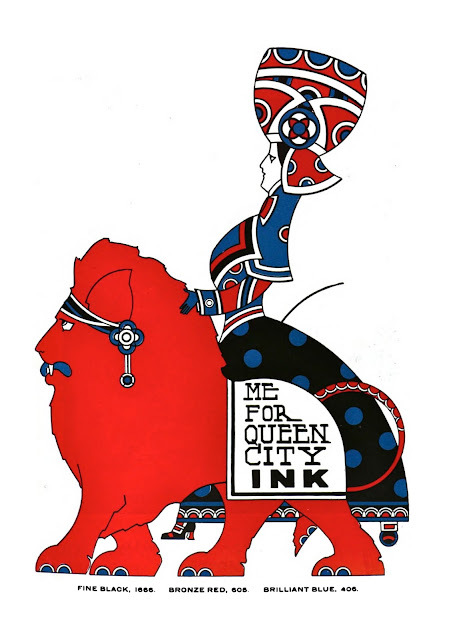 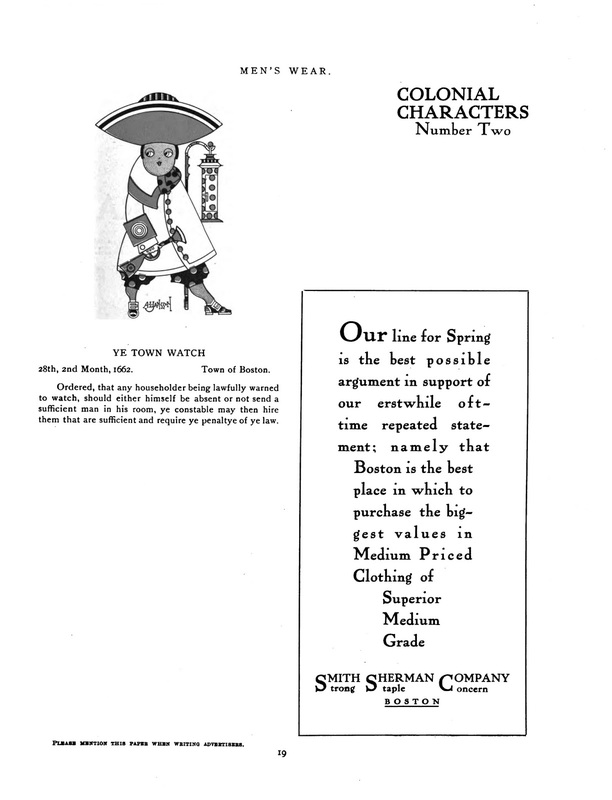 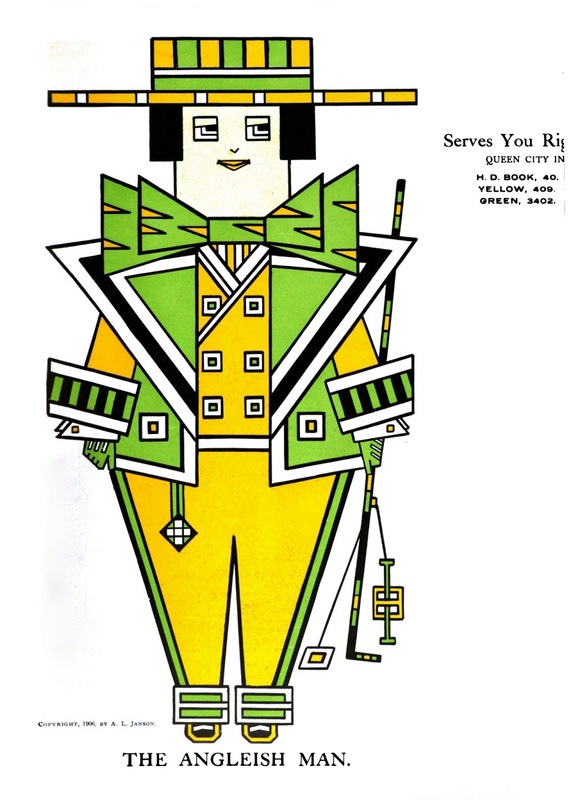 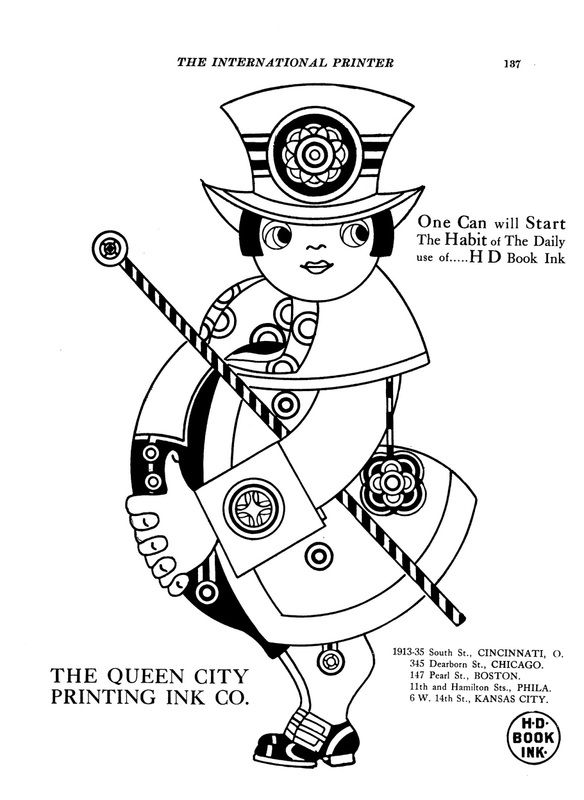 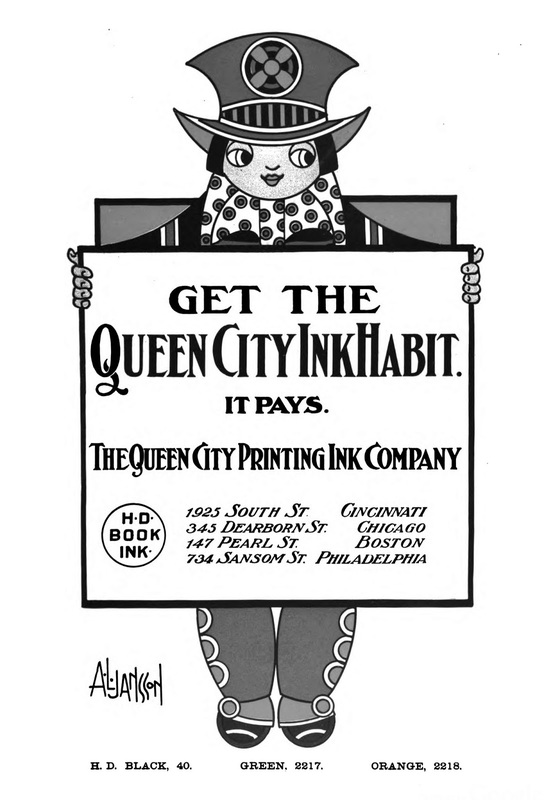 The illustrations were in advertisements that appeared in the bi-monthly trade magazine, Men’s Wear. The Stripper’s Guide and the Davistown Museum have samples of Jansson’s work including tableware for Wedgwood. 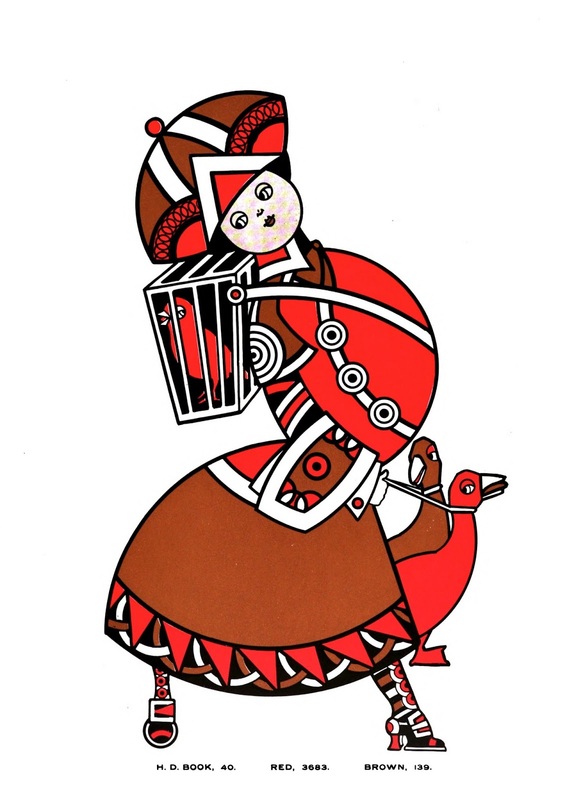 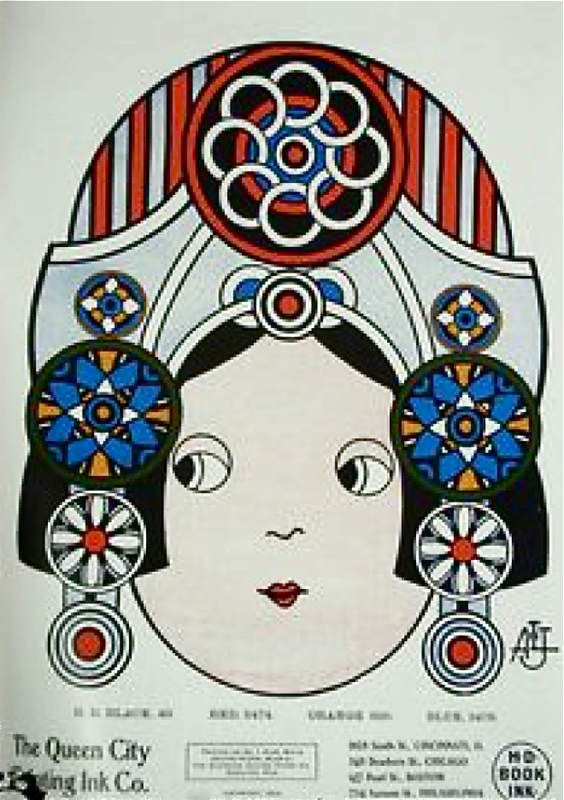 Jansson’s art reminds me of some of Seymour Chwast’s illustrations.